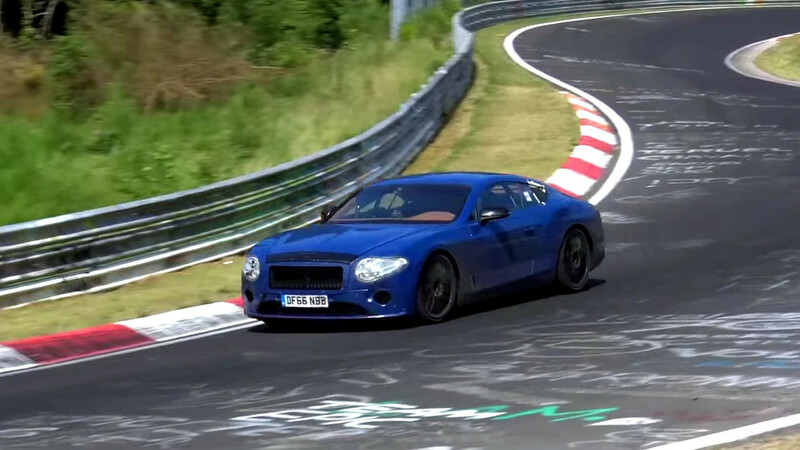 The next-generation Bentley Continental GT has been caught in blue while testing on the Nürburgring. While this example still has single oval headlights on each side, we believe this is just a ruse during development (see the speculative rendering below). The final model should have a pair of lights at the corners of the face. 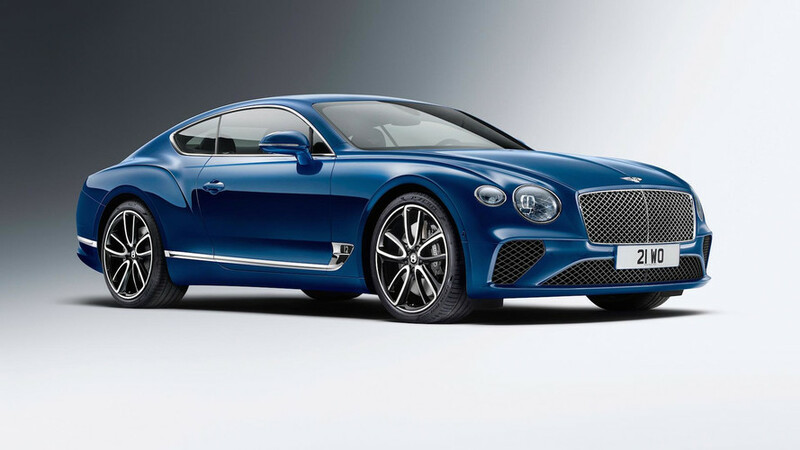 Bentley's designers take major cues from the EXP 10 Speed 6 concept for the new Continental GT, especially the front. The shape changes at the rear where the production model has a broad tail with a large trunk. The steeply raked windshield and smoothly flowing roof look fantastic, though. Spy photos haven't yet provided a great look at the production model's interior. However, the EXP 10 Speed 6 concept (see gallery below) uses an interesting mix of classic and modern that creates a fantastic cabin. In a nod to tradition, there's still a single analog gauge, but the rest of the instrument panel is a digital display for viewing navigation info and vehicle data. A second screen follows the slanted center stack, and this one controls details like the HVAC system, entertainment, and making calls. 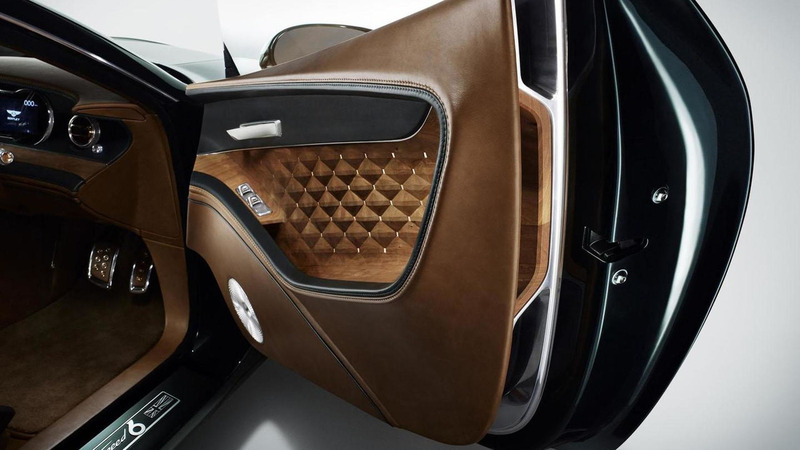 Two-tone leather with exposed stitching evokes fine furniture. 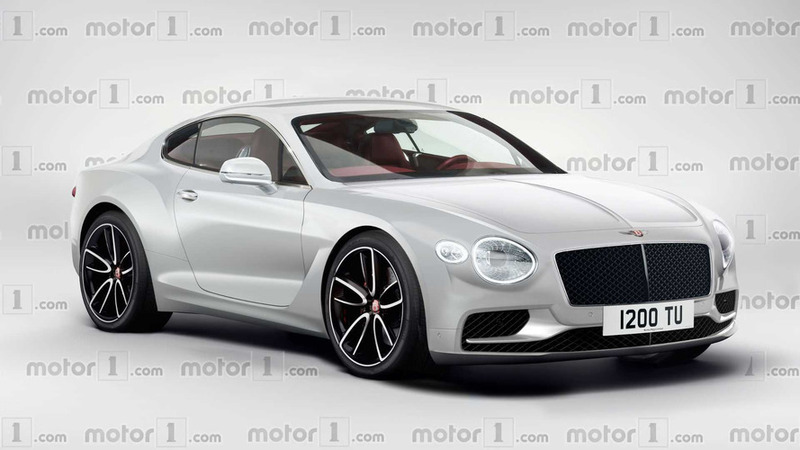 The Continental GT will ride on the MSB platform like the latest Porsche Panamera, which should shed a significant amount of weight. A 4.0-liter biturbo V8 and 6.0-liter biturbo W12 should be available at launch. Later, a plug-in hybrid would likely be available, too. Spy shots also show a replacement for the Continental GTC droptop under development. EXP 12 Speed 6e concept should closely preview the production model's final design.